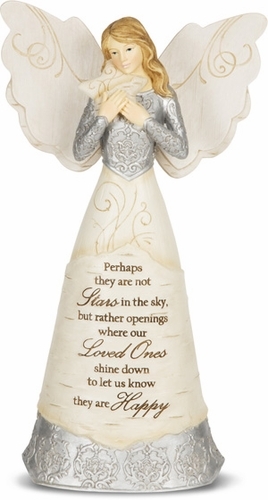 An ideal sympathy gift idea is an angel memorial figurine. Features soft colors and intricate detailing. The sympathy angel offers a comforting verse imprinted on the skirt. Suitable for display on desk, nightstand, or shelf.